Weather has been too weird this month. One day 0 then 63 yesterday. I love your tree project. Every little bit helps. I wish I could peek into the future to see if my efforts help. I hear we’re heading from 63 to 28 soon. Sheesh. 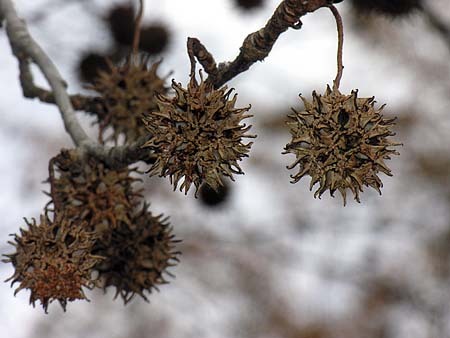 Our Neighbor had one of those Sweet Gum trees and we used to git those spikey seed pods in our back yard. They had the tree removed because it was so BIG and close to their house. They worried a hurricane or strong wind might blow it over onto their house. We were GLAD it was gone! Sounds like a good plan to us! !